Dr. Ofen is an Associate Professor at the Institute of Gerontology, the Merrill Palmer Skillman Institute, and the Department of Psychology in the College of Liberal Arts and Sciences. She is also a faculty member at the Translational Neuroscience Program at the School of Medicine. 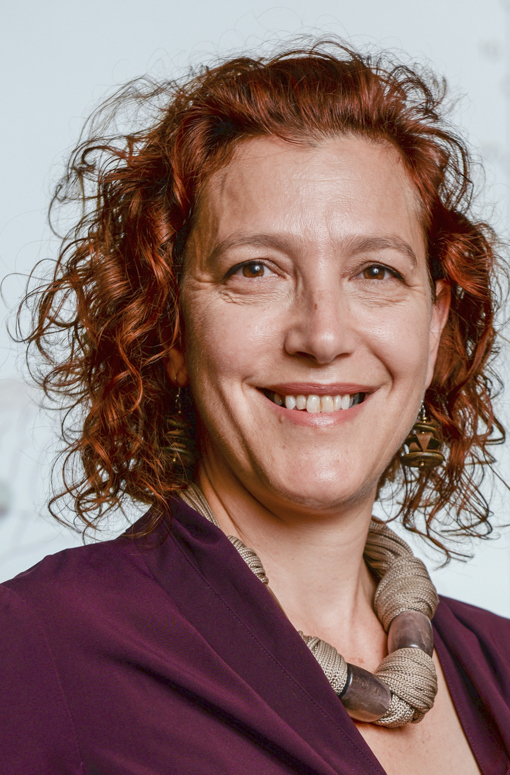 Dr. Ofen is the Director of the Cognitive and Brain Development Laboratory and with her program of research she investigates structural and functional brain development across a wide age range of typically developing children and adults. Using tests of cognitive abilities combined with neuroimaging techniques, Dr. Ofen probes how brain structure and function shape human cognitive functioning across development. She focuses on individual differences as expressed through behavior and biological measures (e.g., brain measures, genetic polymorphism). In particular, she has worked to explore the structure and function of the hippocampus, a crucial brain structure for learning and memory that is altered in a number of psychiatric disorders with a neurodevelopmental basis. In identifying neural correlated of memory development using functional neuroimaging she is using cutting edge methodology to investigate the neuronal activity that supports memory in typically and atypically developing populations (including pediatric epilepsy and preterm born children). More broadly Dr. Ofen has written about, and is interested in exploring how new insights gained from developmental cognitive neuroscience may have practical implication in education settings. Dr. Ofen studied with the world's top researches in the fields of cognitive neuroscience and memory, at MIT, Stanford University, Harvard University, the Weizmann Institute of Science, and Haifa University. In her PhD work, thesis titled: "Cognitive Skill Learning: How Repetition Determines Acquisition" (with Yadin Dudai, and Avi Karni) she studied ways to enhance learning by addressing key elements of the practice experience. For example, she found that spacing the same amount of practice over a few days results not only in better learning of the specific task but also in improvements of related aspects that were not part of the training. Dr. Ofen provides extensive service to professional societies and participates in peer-review of reviewing of grants and scientific manuscripts. In 2014 she has been selected as a Kavli Frontiers of Science Fellow by the National Academy of Science. The goals of this project are to discover the underpinnings of the normal development of declarative memory using cross-sectional and longitudinal studies of memory encoding and retrieval. Progovac, L., Rakhlin, N., Angell, W., Liddane, R., Tang, L., Ofen, N. (2018). Neural correlates of syntax and proto-syntax: evolutionary dimension. Frontiers in Psychology 9, 2415. Yu, Q., McCall, D.M., Homayouni, R., Tang, L., Chen, Z., Schoof, D., Nishimura, M., Raz, S., Ofen, N. (2018). Age-associated increase in mnemonic strategy use is linked to prefrontal cortex development. NeuroImage 181, 162-169. Tang, L., Shafer, A.T., Ofen, N. (2018). Prefrontal cortex contributions to episodic memory development. Cerebral Cortex 28(9), 3295-3308. Yu Q., Daugherty, A.M., Anderson, D.M., Brush, D., Hardwick, A., Lacey, W., Nishimura, M., Raz, S., Ofen N. (2018). Socioeconomic status linked to differences in hippocampal volume in childhood. Developmental Science 21(3), e12561. Progovac, L., Rakhlin, N., Angell, W., Liddane, R., Tang, L., Ofen, N. (2018). Diversity of grammars and their diverging evolutionary and processing paths: Evidence from functional MRI study of Serbian. Frontiers in Psychology 9, Article 278. Mohl, B., Ofen, N., Jones L.L., Robin, A.L., Rosenberg, D.R., Diwadkar, V.A., Casey, J.E., Stanley, J.A. (2018). Novel reading index for classifying single word reading tendencies in non-skilled readers. Applied Neuropsychology: Child 7(4), 287-297. Hayes, J.M., Tang, L., Ofen, N., Damoiseaux, J.S. (2017). Subjective memory complains are associated with brain activation supporting successful memory encoding. Neurobiology of Aging 60, 71-80. Nishida, M., Korzeniewska, A., Crone, N., Toyoda, G., Ofen, N., Brown, E.C., Asano, E. (2017). Brain network dynamics of the human articulatory loop. Clinical Neurophysiology 128, 1473-1487. Daugherty, A.M., Flinn, R., Ofen, N. (2017). Hippocampal CA3-dentate gyrus volume uniquely linked to improvement in associative memory from childhood to adulthood. NeuroImage 153, 75-85. Kambara, T., Brown, E.C., Jeong, J-W., Ofen, N., Nakai, Y., Asano E. (2017). Spatio-temporal dynamics of short-term working memory maintenance and scanning of verbal information. Clinical Neurophysiology 128, 882-891. Jones, L.L., Wurm, L.H., Calcaterra, R.D., Ofen, N. (2017). Integrative priming of compositional and locative relations. Frontiers in Psychology 8, Article 359. Wisse, L., Daugherty, A.M., … Ofen, N., …, la Joie, R. for the Hippocampal Subfields Group (2017). A harmonized segmentation protocol for hippocampal and parahippocampal subregions: why do we need one and what are the key goals? Hippocampus 27, 3-11. Ofen, N., Whitfield-Gabrieli, S., Chai, X.J., Schwarzlose, R.F., Gabrieli, J.D.E. (2017). Neural correlates of deception: lying about past events and personal beliefs. Social Cognitive and Affective Neuroscience 12, 116-127. Raz, S., Piercy, J.C., Heitzer, A., Peters, B.N., Newman, J.B., DeBastos, A.K., Ofen, N., Batton, B., Batton, G.G. (2016). Neuropsychological functioning in preterm-born twins and singletons at preschool age. Journal of International Neuropsychological Society 22, 865-877. Ofen, N., Yu Q.J., Chen, Z. (2016). Memory and the Developing Brain: Are insights from cognitive neuroscience applicable to education? Current Opinions in Behavioral Sciences 10, 81-88. Daugherty, A.M., Bender, A.R., Raz, N., Ofen, N. (2016). Age differences in hippocampal subfield volumes from childhood to late adulthood. Hippocampus 26, 220-228. Mohl, B., Ofen, N., Jones, L., Robin, A., Rosenberg, D., Diwadkar, V.A., Casey, J.E., Stanley, J. (2015). Neural dysfunction in ADHD with reading disability during a word rhyming continuous performance task. Brain & Cognition 99, 1-7. Daugherty, A.M., Ofen, N. (2015). That's a good one! Belief in the efficacy of mnemonic strategies contributes to age-related increase in associative memory. Journal of Experimental Child Psychology 136, 17-29. Daugherty, A.M., Yu, Q.J., Flinn, R., Ofen, N. (2015). A Reliable and valid method for manual demarcation of hippocampal head, body and tail. International Journal of Developmental Neuroscience 41, 115-122. Matsuzaki, N., Schwarzlose, R., Nishida, M., Ofen, N., Asano, E. (2015). Upright face-preferential high-gamma responses in lower-order visual areas: evidence from intracranial recordings in children. NeuroImage 109, 249-259. Chai, X.J., Ofen, N., Gabrieli, J.D.E., Whitfield-Gabrieli, S. (2014). Selective development of anticorrelated networks in the intrinsic functional organization of the human brain. Journal of Cognitive Neuroscience 26, 501-513. Chai, X.J., Ofen, N. (CXJ NO equal contribution), Gabrieli, J.D.E., Whitfield-Gabrieli, S. (2014). Development of deactivation of the default-mode network during episodic memory formation. NeuroImage 84, 932-938. Ofen, N., Shing, Y.L. (2013). From perception to memory: Changes in memory systems across the lifespan. Neuroscience and Biobehavioral Reviews 37, 2258-2267. Ofen, N., Chai, X.J., Schuil, K.D.I., Whitfield-Gabrieli, S. Gabrieli, J.D.E. (2012). The development of brain systems for successful memory retrieval of scenes. Journal of Neuroscience 32, 10012-10020. Ofen, N. (2012). The development of neural correlates for memory formation. Neuroscience and Biobehavioral Reviews 36, 1708-1717. Yoo, J.J., Hinds, O., Ofen, N., Thompson, T.W., Whitfield-Gabrieli, S., Triantafyllou, C., Gabrieli J.D.E. (2012). When the brain is prepared to learn: Enhancing human learning using real-time fMRI. NeuroImage 59, 846-852. Benjamin, C., Lieberman, D.A., Chang, M., Ofen, N., Whitfield-Gabrieli, S., Gabrieli, J.D.E., Gaab, N. (2010). The influence of rest period instructions on the default mode network. Frontiers in Human Neuroscience 4, Article 218. Chai, X.J., Ofen, N. (CXJ NO equal contribution), Jacobs, L.F., Gabrieli, J.D.E. (2010). Scene complexity: influence on perception, memory, and development in the medial temporal lobe. Frontiers in Human Neuroscience 4, Article 21. Ofen, N., Kao Y-C., Sokol-Hessner, P., Kim, H., Whitfield-Gabrieli, S., Gabrieli, J.D.E. (2007). Development of the declarative memory system in the human brain. Nature Neuroscience 10, 1198-1205. Ofen, N., Moran, A. & Sagi, D. (2007). Effects of trial repetition in texture discrimination. Vision Research 47, 1094-1102. Ofen-Noy, N., Dudai, Y. & Karni, A. (2003). Skill learning in mirror reading: How repetition determines acquisition. Brain Research: Cognitive Brain Research 17, 507-521.